"Doe-eyed, youthful, talented, the right shades of awkward and cool and caring, and shortly to be ubiquitous." 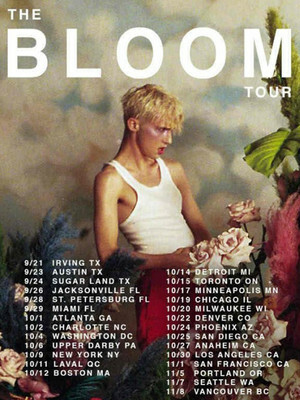 Fresh-faced Troye Sivan hits the Road with Bloom! It's the age of the Youtube generation, a group of vibrant young people that are finding new avenues for their creativity - take Troye Sivan for example. The South African-born Australian actor-singer has amassed the third largest Youtube following in Australia (that's a whopping 3.6 million subscribers!) with his active presence on the 'vlogosphere' and a budding music career. His debut album Blue Neighbourhood shot to the top of the international charts in late 2015 and now Sivan is hitting the road with his sophomore album, Bloom, which is set for release a month before he embarks on the road. Sivan is openly gay and addresses topical issues with a tender honesty in his weekly videos. His frankness and mature musical direction (a mixture of slow burning electro pop and sparse beats) make him seem wise beyond his years - a fresh-faced aesthetic that stands out as genuine role model material amidst the auto-tuned X-factor wannabes. Don't miss out on this chance to see the future of pop! Sound good to you? Share this page on social media and let your friends know about Troye Sivan at The Chicago Theatre. This is an independent website not affiliated with the venue. 'The Chicago Theatre' as well as all associated graphics, logos, and/or other trademarks, tradenames or copyrights are the property of MSG CHICAGO, LLC and are used herein for factual descriptive purposes only. This website is in no way associated with or authorized by MSG CHICAGO, LLC and neither that entity nor any of its affiliates have licensed or endorsed us to sell tickets, goods and or services in conjunction with their events. 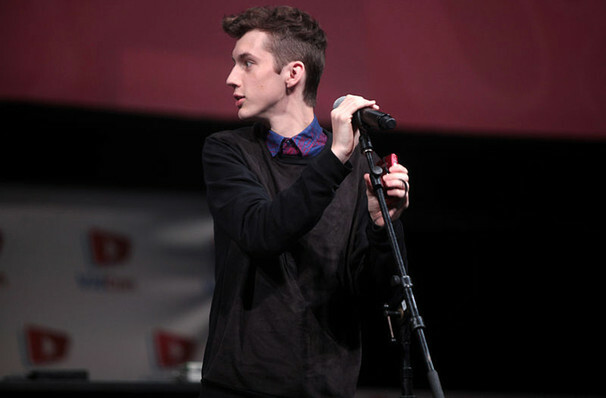 The term Troye Sivan as well as all associated graphics, logos, and/or other trademarks, tradenames or copyrights are the property of Troye Sivan and are used herein for factual descriptive purposes only. We are in no way associated with or authorized by Troye Sivan and neither that entity nor any of its affiliates have licensed or endorsed us to sell tickets, goods and or services in conjunction with their events.